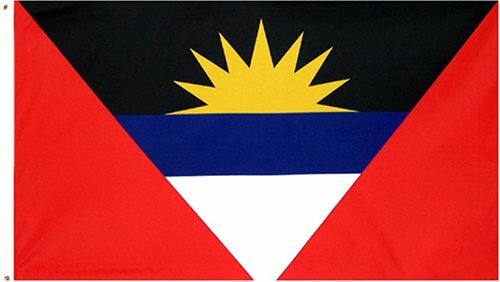 3' x 5' Antiguan Barbudan flags - This Flag of Antigua and Barbuda is made of high quality polyester and has 2 metal grommets for hanging. It has reforced edges and double seams for a maximal resistance. This product is an original product of the brand AZ FLAG. 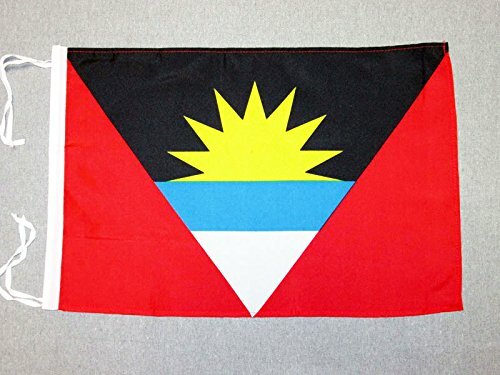 18'' x 12'' Antiguan Barbudan flags - This Flag of Antigua and Barbuda is made of high quality polyester and has 2 cords for hanging. It has reforced and sewn edges for a better resistance. This product is an original product of the brand AZ FLAG. 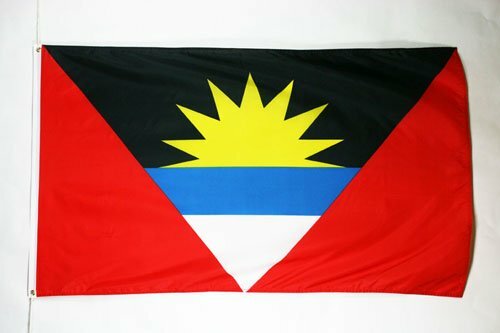 2' x 3' Antiguan Barbudan flags - This Flag of Antigua and Barbuda is made of high quality polyester and has 2 metal grommets for hanging. It has reforced edges and double seams for a maximal resistance. This product is an original product of the brand AZ FLAG. 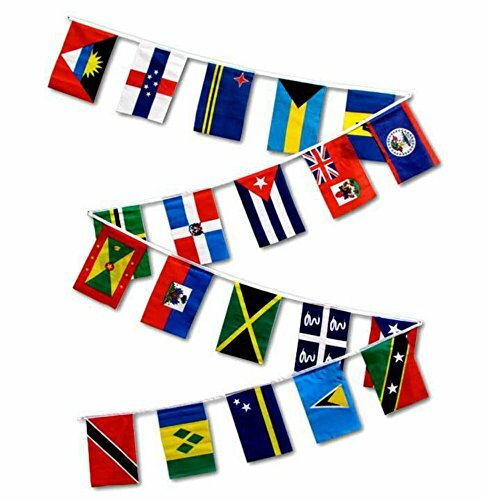 1 Set of 20 Caribbean Country String Flags has 20 12x18 inch polyester flags on one 30 ft string. Quantity of 1 equals one string of 20 flags (1 of each of the following countries: Antigua &. Barbuda, Netherland Antilles, Aruba, Bahamas, Barbados, Belize, Bermuda, Cuba, Dominican Republic, Dominica, Grenada, Haiti, Jamaica, Martinique, Puerto Rico, St. Kitts &. 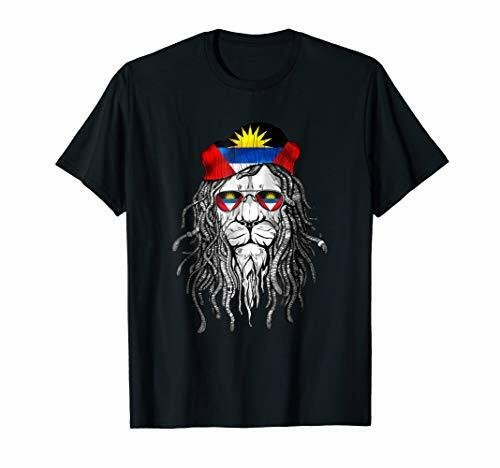 Nevis, St. Lucia, Curacao, St. Vincent, Trinidad &. Tobago). 4'' x 6'' Antiguan Barbudan Mini Banner - This Pennant of Antigua and Barbuda is made of polyester and have a suction cup hanger to attach to glass surface. This product is an original product of the brand AZ FLAG. 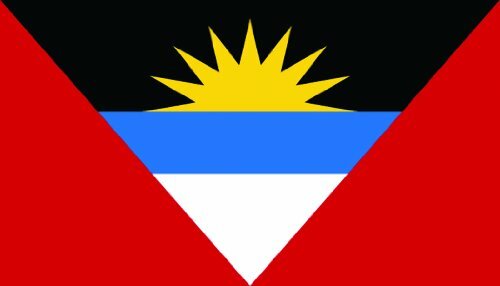 Antigua flag. 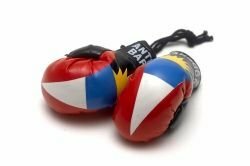 Proudly display your countries nationality with its flag, these flags are reinforced 2-ply print dyes nylon with brass grommets for corrosion resistance, superior sun and water fade resistant. Country flags are 12" x 18". 3'x5' 100% Polyester Indoor/Outdoor Flag Complete w/Grommet Strip for Attaching to Pole. Multifunctional tubular headwear can be used in a variety of ways. For example, it can be used as a Scarf, Bandana, Mask, Neckerchief , Scrunchie , Beanie , Hairband ,Wristband, or Headband. 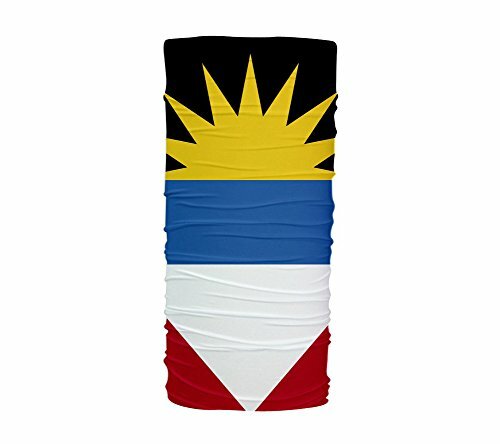 It is very comfortable to wear and ideal for many activities.Measurements: One Size 19 ¼" x 9 ½"
Antigua & Barbuda Flag On A Stick 12" x 18"
Size: 4\" x 6\"4" x 6"
ANTIGUA & BARBUDA 3X5' FLAG NEW 3'X5' 3 X 5 FEET 36X60"